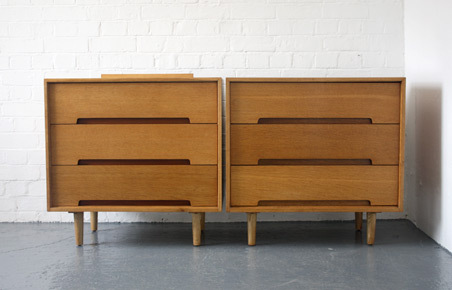 C-range chests of drawers designed in the 1950s by John and Sylvia Reid for Stag Furniture, UK. 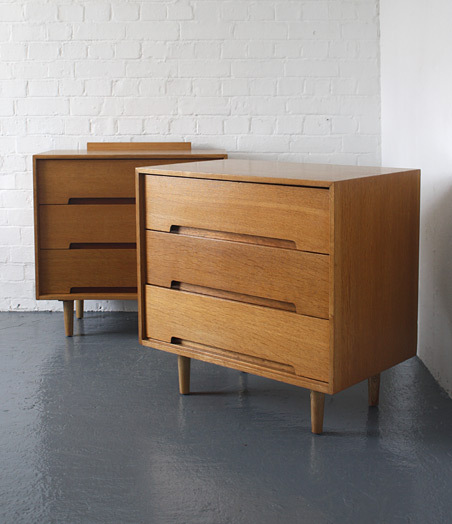 Classic pieces of British midcentury design. 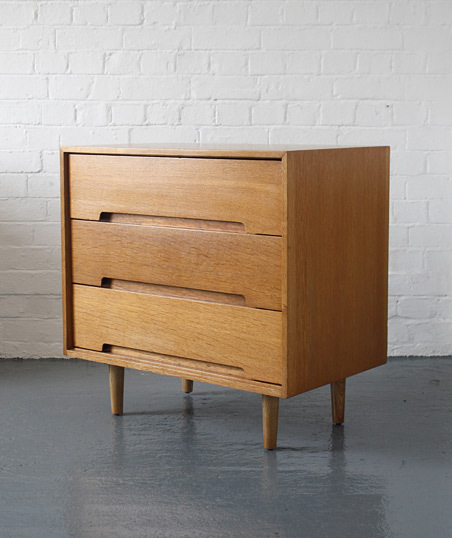 Oak veneered carcass with three drawers and turned legs. 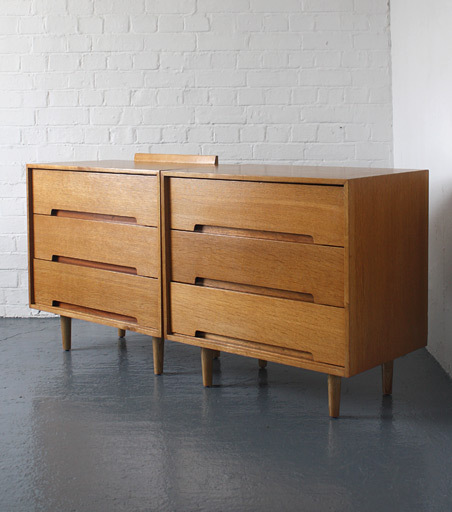 In very good repolished condition with some small repairs and minor marks. 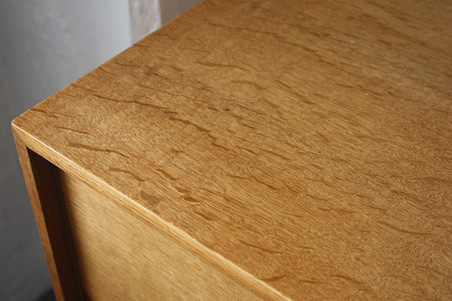 Dimensions: 73cm high x 75.5cm wide and 45.5cm deep.